"Defy man and God, but you may not deceive the vultures, sons of Satan! They know whether a man be alive or dead!" I see where in honor of Bob’s birthday people are relating their first encounter with his work. My story is, I think, unique; at least, I’ve never heard a similar one. I was 14 and had read every Edgar Rice Burroughs story to be found, and a lot of Andre Norton as well. I went to the downtown Sears by bus, to check out their mezzanine bookstore which was the only place I knew that had those Ace paperbacks with the cool Krenkel and Frazetta covers. And my eye was caught by a crudely painted cover with a gory scene of an ape with its arm hacked off and a near-naked hairy guy who was apparently doing the hacking. 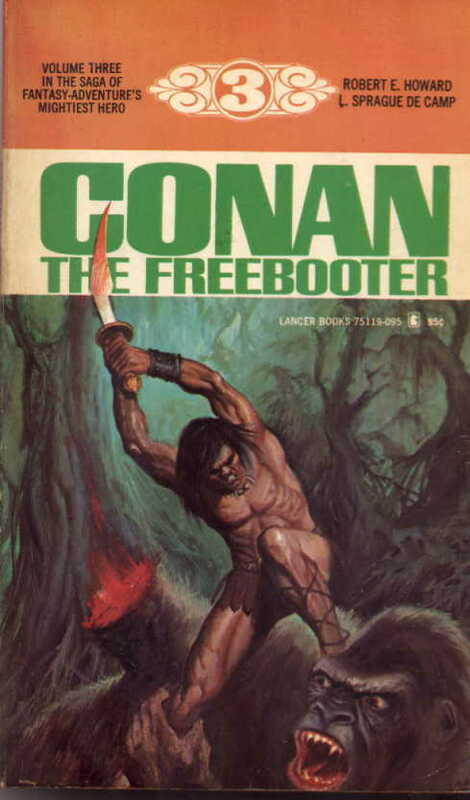 Apparently Lancer had put out a new printing of the Conan series, but other people had already bought all the Frazetta ones. 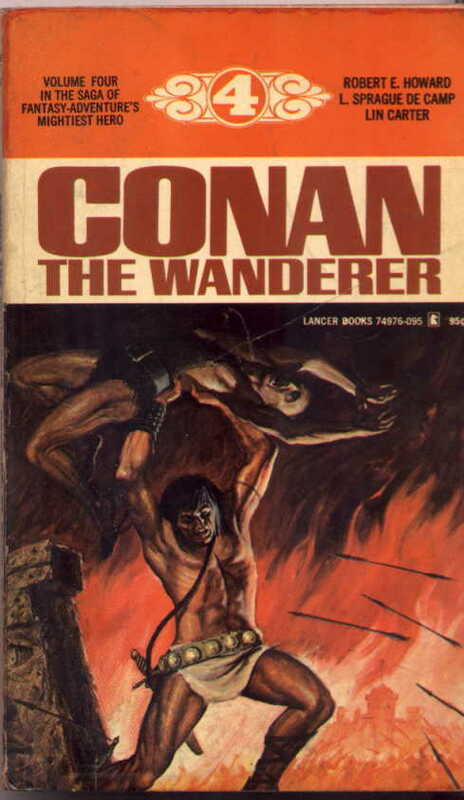 No matter; this, and the other Duillo-covered one, Conan the Wanderer, looked interesting enough to pick up and take home. It was a beautiful if windy Saturday in Austin. 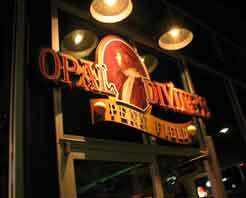 We started on the deck of Opal Divine’s, a nice place with a broad selection of beers and food. 65-70 degrees (welcome to Texas-style winters! ), a brisk wind out of the west. After the wind dumped my beer in my lap (if ONLY someone had caught that on video, pretty amazing), we decided to move it inside. Quite the rogues gallery, with Dennis McHaney, [redacted]*, Dave Hardy and better half, Todd Woods, Joe and Ms. Crawford, and a couple other folks who stopped in that I didn’t know. A rousing toast to REH, and the conversation was on. Much brilliant Howard discussion ensued, as well as just catching up with each other. Good food, cold drinks, and a couple hours of fun camraderie. It is so rare to get to sit around with a group and talk REH, especially such a knowledgeable group. Man that was fun! Definitely worth the drive. Sounds like a great shindig. All Robert E. Howard fans who were within driving distance and stayed home ([redacted] drove all the way from Vernon) just might hafta hold their manhoods cheap at this point. However, unlike Agincourt, there will be do-overs in the future. A tip of the TC morion to Dennis and Paul for making it all happen. *Mark hit a deer on the way back from the soiree, by the way. He’s fine, but his car could be better and the deer could be a lot better. 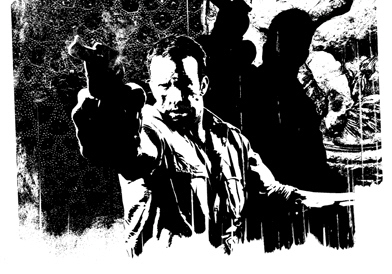 Filed in FANDOM — HOWARD, ROBERT E.
As reported earlier here at The Cimmerian, award-winning artist, Timothy Bradstreet, is the creator behind all of the black-and-white pieces for the upcoming El Borak and Other Desert Adventures from Del Rey. 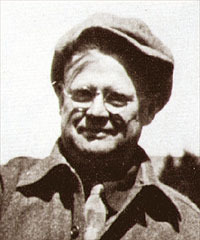 Above is one of his illustrations for that volume (recently posted on the homepage of Conan.com). I first read the name “Robert E. Howard” in the spring of 1975. 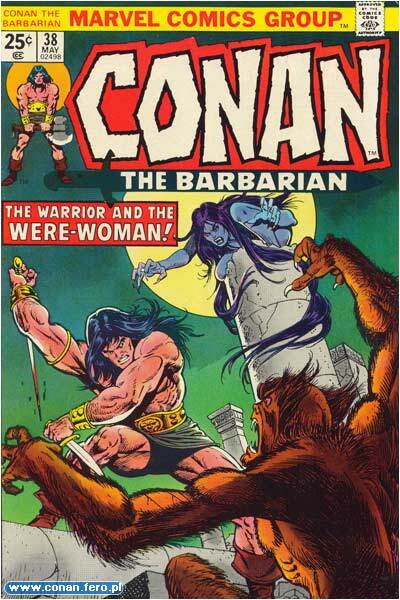 I had seen a copy of Marvel’s Conan the Barbarian #38 on a spindle-rack in one of those little corner grocery stores whose place has now been taken by stores of convenience in America’s small towns. Having discovered the works of Edgar Rice Burroughs the previous year, I was primed for the sort of adventure the cover seemed to promise. My indulgent and sainted grand-mother, responding as she nearly always did to my boyish entreaties, promptly bought it for me (naked blue chick and all). Conan #38 was Roy Thomas’ (and John Buscema’s) adaptation of Robert E. Howard’s “The House of Arabu.” Howard’s yarn featured a blonde-haired Argive named Pyrrhas as the protagonist and was set during the twilight years of Sumer. 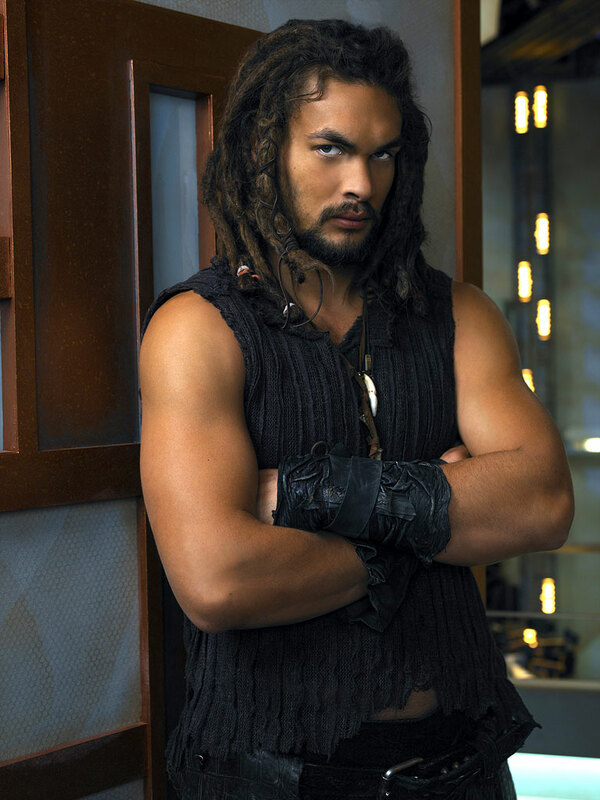 Roy, as he often did with other REH tales, “freely adapted” (his own words, right on the splash page) the yarn as a story of Conan during his time in Turan, which he entitled, “The Warrior and the Were-Woman!”. 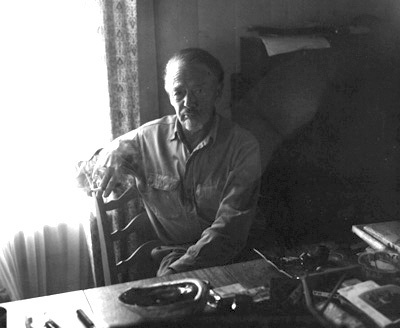 Over the years, it’s been noted more than once that “Arabu” is one of Howard’s darker tales of high adventure. In my opinion, Thomas managed to convey a lot of that while still toeing the line for the Comics Code. 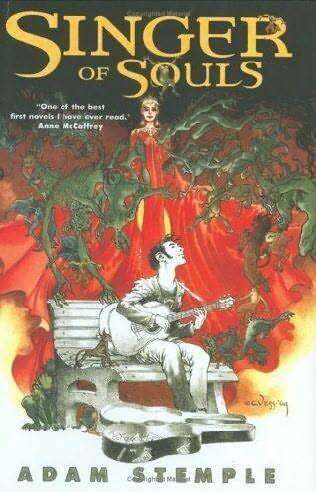 Recently read Adam Stemple’s Singer of Souls, a 2005 urban fantasy that is pretty impressive for a first novel. The protagonist is Doug, a street musician and junkie who is trying to quit his habit. He decides to go away to Scotland and stay with his Gran, who warily takes him in. Things seem to be going well until he meets a strange, beautiful woman who gives him the ability to see fairies, bogies, goblins and many more, who come to Edinburg every year for a trade fair. This is a pause in their usual state of war in their own world, when hostilities are suspended for a time. But humans, especially humans who can see them, are always fair game. She gives him the Sight as part of a plan, but her schemes go awry at the end. The bantering, light tone of the first-person narration masks the fact that this is really a pretty dark fantasy, on the order of Adam Corby, Matthew Stover or some of KEW’s tales. 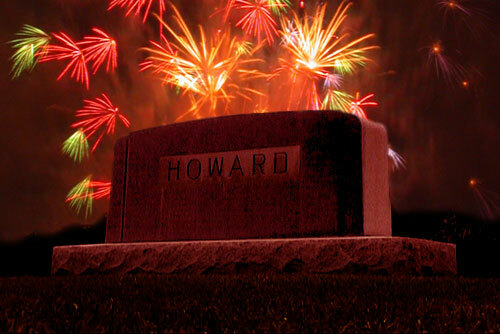 I think most Howard fans would like it, even if it does have elves. They’re not nice elves. It also sports a nice Charles Vess cover, which complements the novel well. Words fail me. That’s probably best. *It has been confirmed on the Nu Image/Nu Millennium site here. In honor of Robert E. Howard’s nativity, Dennis McHaney and Paul Herman are throwing a wee soiree for the Man From Cross Plains at Opal Divine’s (the Penn field location) in Austin on Saturday. The festivities start at 2 p.m. and go ’til close. Jack and Barbara Baum (former owners of the REH literary estate) just might attend. Word on the street is that TC alumnus, [redacted], has also threatened to grace Austin with his presence for the occasion.